Welcome to the second post of the Top Things by Travelers Around the World series! This time we want to indulge our obsession for food. I think most travelers will agree with me that food is one of the most important aspects of traveling. It could be a newly discovered dish that stays in your memory, or something wild that your friends back home will never believe you actually ate! Here, 17 travel bloggers have sent me their food highlights from places that they have visited. This has been a difficult article to write, because I keep getting so hungry while reading these great submissions. Some of you liked the velvety ceviche and heavenly avocado juice, two of my favourites. Some entries made me laugh, since even though I like them (thanks to my Indonesian heritage), they could be a tough sell to some people. Examples are durian fruit (Mark happens to love this one too) and organ meat. Some make me… ummm… well… make me think to be more adventurous? I’m talking about the stinky tofu and deep fried crickets (that Cam ended up liking!) There’s also weird stuff to, like the MaracuyÃ¡ Pisco Sour that is delicious to drink, but gives you a sensation like… dying?! For many of them, that I haven’t tried before, make me so looking forward to trying them! So, start enjoying the delicacy from all around the world! Not only food, there are a lot of delicious drinks too mentioned here. Local seafood at Astrid y Gaston, the most famous Peruvian restaurant in the world. Trout Ceviche, a Peruvian dish with raw fish/seafood (in this case trout) marinated in lemon or lime juice. Peruvian Pizza! The wood-oven-fired pizza here is fantastic. I had a tasty chorizo-plantain-egg pizza this week that was out of this world. Ceviche in Peru. Ceviche is basically white fish (usually, though you also see shrimp and a few other seafood items) “cooked” in lemon or lime juice. There isn’t actually any heat applied in the cooking process — the acids in the juice do the cooking. It is an amazingly fresh dish and a must-eat in many places in Central and South America, though Peru is credited with its beginnings. Wine in New Zealand. OK, a sort of weak, catch-all choice, but the reason I particularly loved New Zealand wines was that there were plenty of wineries everywhere — usually close enough where you could just rent a bike and ride around. Dumplings in China. I have become a dumpling addict. Breakfast? Dumplings. Lunch? Obviously, dumplings. Afternoon snack? You get the point. They are light, healthy, tasty, and addictive. Give me more — all the time. 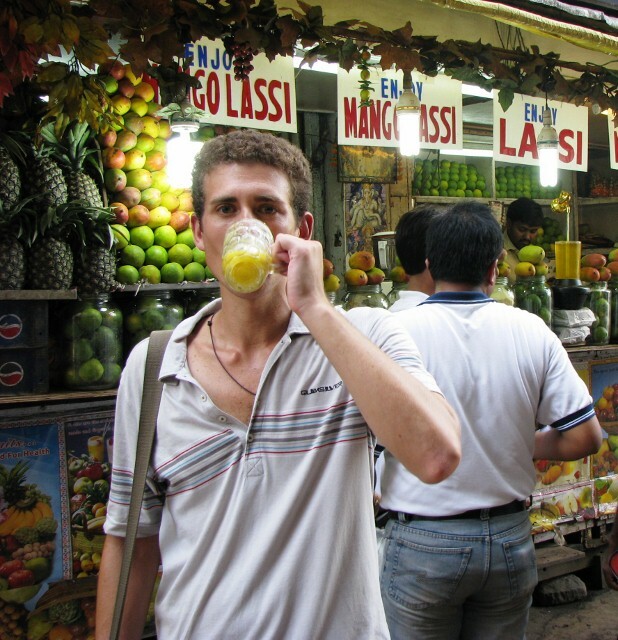 Mango Lassi – I could easily drink several liters of this refreshing Indian/Pakistani drink at a time and I often do when I’m traveling around the Subcontinent. It’s prepared by mixing fresh yoghurt with milk or water and adding fresh mango and flavorful spices. And sometimes it’s topped with Indian sweets and a cherry swirl! Khao Soi - When I lived in Chiang Mai, Thailand, I sampled dozens of versions of this dish served up by food stalls around the city and I loved almost every one I tasted. It’s a Burmese-influenced coconut soup filled with a variety of egg noodles, vegetables, spices and chicken. Spinach & Cheese Momos – Momos are simple Tibetan dumplings, but when stuffed with fresh spinach and cheese and served immediately after being prepared, a plate of six often isn’t enough to satisfy my craving. You can choose either to have them either fried or steamed, but I go with steamed every time. Stinky Tofu - Crunchy, deep fried, fermented tofu! It smells like sweaty feet on a hot summer’s day and I’m sure that if I had ever actually tasted sweaty feet it would taste exactly like stinky tofu! Shaoxing Yellow Wine - Its beautiful bottle is deceiving. This wine goes down like battery acid, even the toughest drinkers will have a tough time downing this drink! 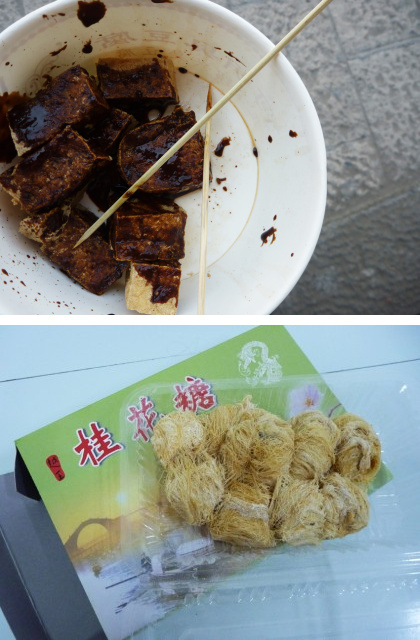 Long xu tang (Dragons Whiskers) – Despite its hairy texture this nutty sweet is surprisingly delicious! It is made by delicately stretching sugar and maltose into fine strands then wrapping it around finely chopped, roasted nuts and sesame seeds. Rolinea - An exotic (and very delicate) fruit I met in Hawaii that I’m not sure I’ll ever see again unless I go back. Although the consistency is initially a little off-putting, it tastes exactly like banana cream pie! Soursop - Another Hawaiian discovery, but one that I’ve also seen in Asia. This dark green spiky fruit has white flesh on the inside that I swear was the impetus for whoever invented “original” bubble gum flavour. Yum! Pumpkin Pie – Although pumpkin pie is common in many places around the world (especially at a Thanksgiving dinner table in North America), most Australasians look at me like I’m demented when I suggest that pumpkin could be served as dessert. Thus – pumpkin pie reminds me of home (Canada), and I made it all the time in Australia and New Zealand to freak out my friends when they tried it – and liked it! 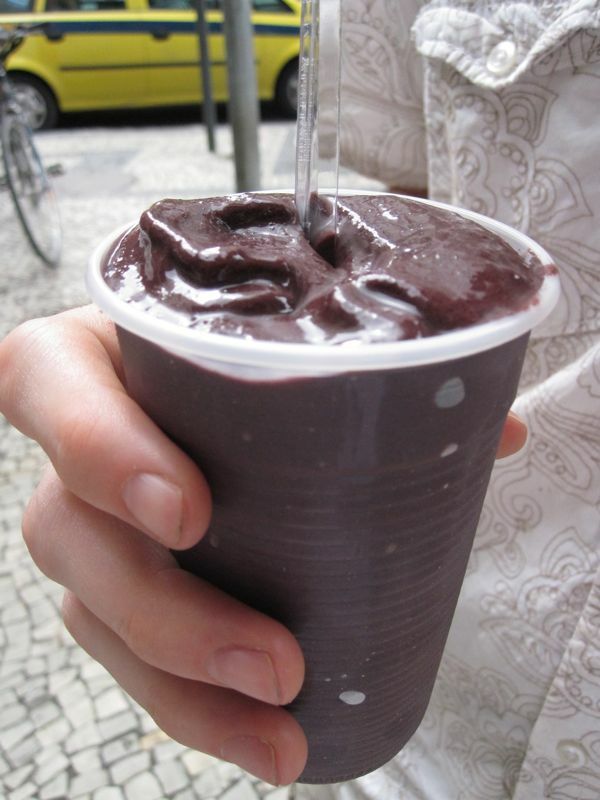 AÃ§ai juice – This Brazilian berry makes a gorgeous and refreshing drink. It’s so thick you can add granola, banana and other things to it too. Gujurati Thali - There are so many Indian foods we love that it’s difficult to choose. The thalis in Gujurat were wonderful though. For about 50p you can get an endless plate of rice, chapatis, chutneys and a huge range of spicy vegetarian curries. Puglian antipasti – The antipasti in Northern Italy are a bit meat focused for us vegetarians but the ones in Puglia in the south of the country are amazing. It’s just a starter but you get a huge plate of seasonable vegetables (roasted peppers, artichokes etc), olives, cheeses, and bread. It’s different in every restaurant so it’s always interesting. We usually struggled to eat our mains after eating all of this! Pho (Vietnam) – After a long day walking the streets of Saigon, surprisingly Pho always hit the spot – even in sweltering heat. The hot soup is great for warming up internally and noodles fill a hungry stomach, not too little, not too much – just right. Zerde - Not just any ol’ rice pudding, but slow cooked pudding with rice and a hint of citron yellow saffron mixed in. So. Damn. Good. 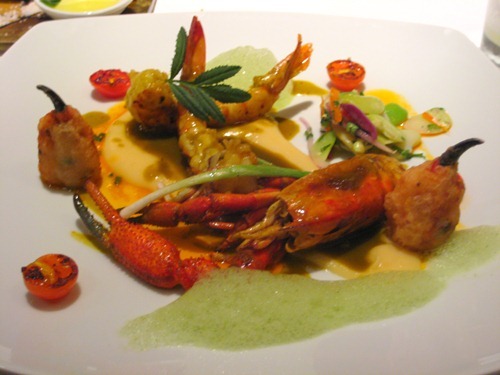 Tourist fact: enjoy this dish at The Lale Restaurant in the Sultanahmet neighbourhood of Istanbul. Dubbed “The Pudding Shop” by travelers, Lale was made famous by the film, Midnight Express. Deep friend Quail (Vietnam) – Ever eaten a little bat before? I have, and let me tell you rodent is not bad when immersed in a vat of 350 F oil. Quail is actually a mid sized bird from the pheasant family. When served, there’s no resemblance to chicken, instead I scanned the restaurant in case Lestat decided to exact revenge for eating his hot girlfriend. Danbing and Jianbing in China: Plentiful in Beijing street vendors. For only 2 or 3 yuan (less then 50cents USD), you get the most delicious crepe you’ll ever taste. It was my breakfast nearly every morning in Beijing. Just simply incredible. Pictures and videos will not do it’s justice so I’m afraid you’ll have to just go there for this one. BeerLao: I don’t think I’ve actually ever met a backpacker that didn’t like BeerLao. A local once told me it’s because of the wonderful water in Laos that makes it taste this good. Whatever it is, it works. Asado: The Argentinean meat is on another level. On my last day in Buenos Aires, I decided to eat at an all-you-eat (or till you puke) buffet steak house called Siga la Vaca which is quite popular amongst backpackers and tourists. Well, I certainly got my moneys worth on that meal. The Gross-out: We’d been on a winning streak when ordering street food on this trip. Everything that we ate was delicious so we’d admittedly become a little cocksure in the street food department. That is, until we went to Myanmar. We approached a stall in Yangoon that looked like it served soup. As we sat down I couldn’t help noticing the vendor’s friend laughing at us. A few minutes later, our noodle soup arrived, topped by a steaming pile of pig intestine. Ah ha. The laughing man had obviously seen this happen before. We were so hungry that we ate what we could, then left the stall laughing as well. Piping hot pig intestine? good for a laugh but not good for lunch. The Salty-Sweet Goodness: A stroll through the night market in Chiang Mai, Thailand led us past a vendor that was manned by a Thai woman and an American expat. We struck up a conversation with the expat, an American man who happened to be ?seeing? the Thai woman’s sister. We politely listened to his long winded story, then said our goodbyes. As we were walking away, he yelled that we should try the mango sticky rice they were selling because ?it’s really good s**t!? We tried it and haven’t been the same since. Its truly and honestly some really good s**t.
The Big Surprise: Martin hails from the very north of Sweden and I’m from southern California. The cuisines we grew up with are very different. 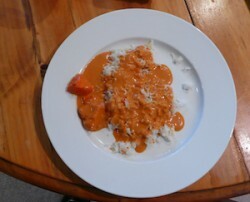 So different, in fact, that it’s always an adventure when his family serves me traditional food. One such Swedish delicacy (can I really call it that?) – rotten herring – took me totally by surprise. I actually liked it. Well, I could eat a bite – which is a good start ? considering the stench of these fish is so bad that you have to open the rotten herring tin outside. Open it inside and the smell of rotten fish will linger for weeks. Beer in the Czech Republic. Most travelers know that the beer there is good and cheap, but to really experience it, you should drink a lot, like the locals do (the Czechs drink the most beer per capita! ), try many different kinds, visit a brewery, and appreciate it for its bitter but refreshing taste. By the way, the first brewery there existed almost 900 years ago! A real feijoada in Brazil. Homestyle cooking, super tasty, and totally Brazilian. And in true Brazilian style, don’t forget to linger at the table with some caipirinhas while you chat the day/night away. Banana “Buns” from South India - I grew up in an family oriented towards the Indian culture, so I’ve had a lot of different types of Indian food. However, I was pleased to discover this delicious south Indian item called “Buns” during my six-month trip through India. It’s similar to a Puri, but it’s made with banana’s to make it sweet and black pepper to give it a kick. Delicious! Idli Vada from South India - This is a very common South Indian breakfast dish consisting of Idli (steamed rice cakes) and Vada (made from dal, lentil, gram flour or potato and fried, it sometimes includes bits of coconut to make it sweet) and is commonly served with Sambar (a spicy soup, often with onions and lentils) and coconut chutney (spicy pickle with green chili’s and shredded coconut). Along with the “Buns”, it’s an incredibly delicious breakfast dish! Banana Leaf Rice from South India - The name is a bit misleading in that this contains a lot more than just “rice on a banana leaf”. In fact, this specific meal varies quiet a bit depending on where you go. Generally, however, it consists of rice on a banana leaf served with various pickles, vegetables, sumbar, and sometimes a chapatai and/or puri. Regardless of what it includes, it’s a delicious meal! 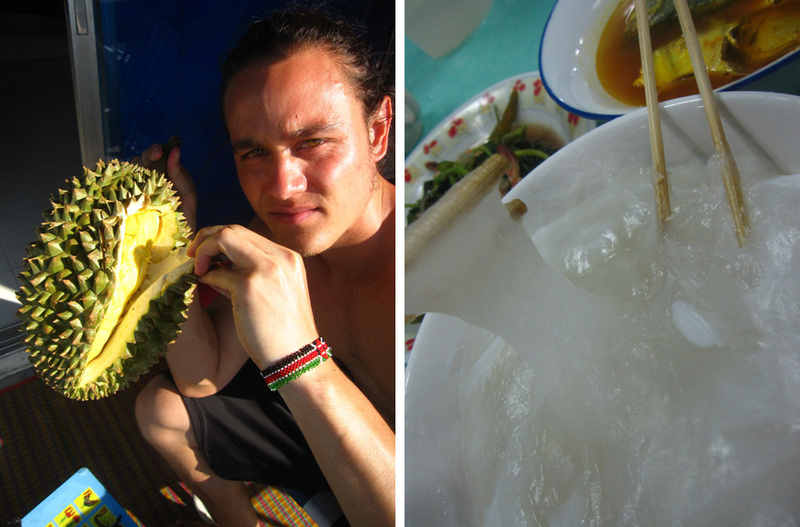 The King of Fruit, Durian, from SE Asia- Nothing is more of a culinary journey than eating durian in SE Asia. The spiky powerful fruit is filled with a creamy pudding that will highten your senses and change your body temperature. Ambuyat (sago starch) from Brunei- A crazy specialty in Brunei resembling a glue like semi-fermented paste. Two bamboo sticks are used to twirl the goo into a bite and then dip it into some fishy sauces. A wonderful dining experience! Som Tam from Thailand- Som tam is a crispy, spicy, tangy, tart, and delicious salad made from shaved green papaya and dressed with chilis, peanuts, tamarind pulp, lemon juice, palm sugar, and fish sauce. The blend is an immaculate dish and a gem of all Thai cuisine. Lamb tagine so tender it was falling off the bone, looking out over Cascades d’Ouzoud, in Morocco. A chance meeting with a local Rasta/autodidact/musician in Marrakech secured us a guide, the fig brandy was flowing, the meal delightful, and the impromptu concert that was soon struck up around our table added that little something extra. 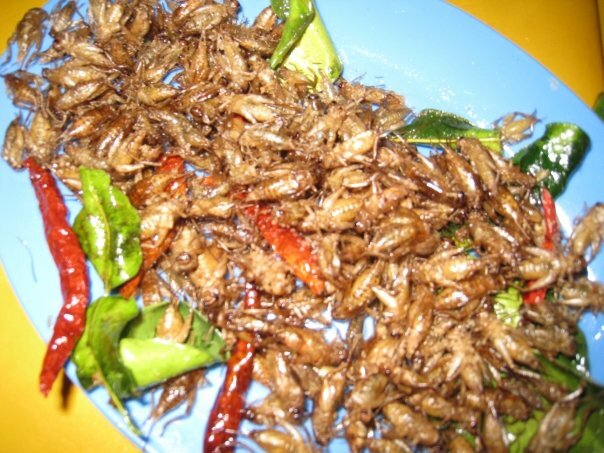 Crickets in Laos. I like to think I’ll try almost everything, but it did take some gearing up to wrap my lips around bugs. In the end it was a matter of courtesy – I was having lunch at an open restaurant in Vientiane with a fellow backpacker when partiers in the rowdy office Laotian New Year party at the next restaurant soon dragged us over, dumped a bucket of water on us and set us to dancing and drinking. When, three hours later, the fried crickets were held under my nose I figured it would be rude not to, when they’d been so sweet. And I’d also drunk quite a lot of their beer. The verdict? Frickin’ awesome beer snacks. MaracuyÃ¡ Pisco Sour. The sharp tang of passionfruit perfectly complemented by the soft eggy froth, a pleasure to drink and a hangover that will absolutely kick you in the arse if you spend the whole night on them. My first Pisco hangover, I was begging my friends to take me to the doctor. I’ve experienced plenty of hangovers in my life, and that day I was pretty sure I was dying. Asitane Restaurant in Istanbul, Turkey that serves authentic Ottoman cuisine. The Asitane Restaurant is unique from all the other restaurants I’ve tried in Istanbul. The Ottoman reign lasted for 700 years but very few recipes have survived. They had a strong tradition that demanded cooks to keep their recipes and cooking techniques a secret. There is this all you can eat buffet in Madrid, Spain called Fresc Co. They have the most incredible array of food for under 9 Euros. Most of the time when I travel, eating healthy is the last thing on my mind. But since we discovered Fresc Co, we ate there at least once a day – usually for dinner. I got my daily doses of meat, fruits, veggies, dairy and dessert. Then I happily let comatose override my body and I’d drag my behind back to the hotel. Editor: You can find this buffet restaurants in many places in Spain – the coffee here was surprisingly good, too. Avocado juice from Bali – Thanks to a friend I discovered this delicious concoction when I was in Bali last winter. Don’t let the word juice give you the wrong impression. Made 100% from avocado, it is thick and creamy, and OH so tasty. Some restaurants will add a bit of chocolate sauce for sweetness. I became addicted! Khao Soy (sometimes called Northern Thai Noodles or Chiang Mai Noodles) – A mouthwatering blend of coconut curry, noodles, chili sauce, and mung bean sprouts. You can choose any kind of meat or fish to add to it. Vegetarian is also delicious. Like the Som Tam salad, I can eat this every day. The cafe run by the Chiang Mai women’s correctional institute cooks up one of the best. Peking Duck in China - yummy! The restaurant we went to gave us a little card with a number and certification for our duck, can’t express enough how delicious it was! Cretan honey raki – This delicious drink is made from the skins and stems of grapes after they’ve been squeezed for juice during winemaking. It’s a lot like Italian grappa. The delicious taste comes from the honey that it’s flavoured with: honey in Crete has an amazing aroma from the citrus, thyme, and pine that the bees harvest. Best of all, most restaurants in Crete will serve you a little jug of homemade raki after your meal, gratis. Salmon from Lake Pukaki South Island of New Zealand - One of the keys to delicious sushi is to use the right fish, and the salmon farmed around Lake Pukaki in New Zealand are some of the best. The salmon raised here are especially delicious, as they are very fit – they spend their whole lives swimming hard against the strong current in the canal where they live. The result is a meat that’s full of rich flavour. If you visit the farm you’ll see stacks of styrofoam containers being shipped off around the world (some even goes to the Imperial Palace in Tokyo, Japan) but if you want the very freshest you can’t do better than going right to the farm and eating a sashimi platter prepared just minutes before. 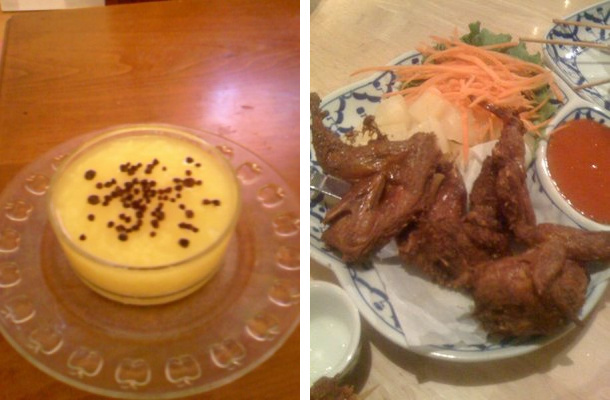 So… Tell us what you think about these exotic foods and drinks! Which ones do you love? Which one do you think are bizarre? Have more foods and drinks to share here? Tell us your food stories! For Monday 2 weeks from now: Please participate in the next edition of the Top Things Chosen by Travelers Around the World, with the topic Top 3 Most Interesting Modes of Transportation! Practical, fun, or unique! What’s your favourite mode of transportation you’ve seen during your travels? Cheap and practical train lines in Europe, or superfast Shinkansen? What about tuk tuk or chicken bus? Are you traveling with your bike? Do you sled ride on snow, or zorb down the NZ hills? Donkeys of Santorini? Cable car of Banff? Jets? Boats? Submarines? Hot air balloon? Rocket ship?! Anything that transports you from a place to another, the more interesting the better! As usual, a little explanation of each is encouraged even though it could be without. Photos are more than welcome! (We might need to collage/pick one if you send more than 1 picture). Send your top 3 picks to me at dina(at)vagabondquest(dot)com. I will need your (nick)name, your blog name and URL (so I link back to you), and your answers. Please submit before Sunday June 6th, 9 am Eastern Standard Time. Interested to participate but have some questions about it first? Give me a shout! Everybody is welcome! I love this list! Wow, I can’t believe you tried bat! We’ve got tons of them flying around here in Okinawa, but I don’t know if I could ever bring myself to chow down on one, even with chili oil! .-= Mary R´s last blog ..A "Tuesdays With Morrie" Moment on Tuesday =-. Hi Mary, I was actually grossed out by the bat! It was Ryan writing the paragraph – he was the one eating. My sister also ate that, seemed like she actually enjoyed eating it! Mmm…shouldn’t read this before lunch. Peking Duck in China – yummy! The restaurant we went to gave us a little card with a number and certification for our duck…I can’t express enough how delicious it was! .-= Ashley´s last blog ..Travel Memories Monday – Rome, Italy =-. I love pecking duck too!! Certification for your duck??!! Heh, never heard of that! We enjoyed gazpacho too, we wanted to order more, but it was not cheap where we ate, unfortunately. That burek sounds so yummy! Can I find them for lunch now in NZ??!! You are right, should not read here while we are hungry! @Professional Hobo: That is a funny story about freaking out people with pumpkin pie! It just goes to show that one person’s normal is another person’s weird. I am impressed with the amount of bravery eating intestines, bats, and crickets. I am a wuss in comparison. .-= Jennifer Barry´s last blog ..Tigers, Tea and Technology =-. @Jennifer and @Hobonora: I’m, as a new Canadian, still hesitant toward pumpkin pies… Tried is several times, not loving it yet. Ryan’s mom is a great dessert chef, I usually chose the pecan pie or cheese cake. Now we know what to look forward when we go to Thailand The Som Tam was mentioned twice, must be heavenly! Fantastic selection of dining specialties! I’m really craving some Indian food now. While you make me craving about durian!! That fruit is heavenly. The smell, the texture, the taste, yum! Do you have favourite part? I love the top end, usually the thin skin layer is so tasty there, and the seed is the smallest. Must, must, must go back to Thailand ASAP. I hate you all for inspiring such cravings. Glad to see BeerLao and ceviche popping up! I’m living in Peru right now and in seafood heaven, even if I am all the way up in the Andes. It’s amazing how a dish as simple as ceviche (my friend whips it together in 10 minutes flat) can be so damn delicious. .-= Camden Luxford´s last blog ..Blogsherpa Carnival #2 â€“ Travel Safely =-. Cam, I’m so jealous! I keep craving about ceviche since I read their email with ceviche answer. Now every time I eat in restaurant here in NZ, I always look for ceviche in the menu, but no luck yet! 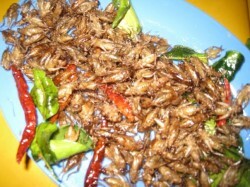 Btw, is it BeerLao that you drink with your fried crickets? The hangover story was superb! So if U have the chance to drink that, I should not be worried if I feel dying? Awesome post Dina! Actually, I’m a fan of any post that involves food from around the world so there was no way I was missing this one. And that avocado juice sounds excellent! .-= Earl´s last blog ..An Unexpected Lesson From Meditation =-. I agree! Food is something we love to hunt when we go to a new place, so much fun to read people’s highlight, compare with our experience, or seek for them. Avocado juice is heavenly, Earl! It’s a must have if you go to Indonesia. I imagine other countries around will have that too. When I was in university, there’s some times that I bought that almost every other day. I have tried the mango lassi in Sydney, but I want to taste the real one! Just realized that Khao soi is mentioned twice!! (by Nancie/LadyExpat) must be heavenly good!! Great list Dina! Right now, I’m particularly interested in food from China. I’ll be making a note of those to try when I’m in China next month. .-= Nancie (Ladyexpat)´s last blog ..Election Campaigning =-. You should try the stinky tofu by @sasha and tell us how do you like it! hey, I just realized, not only the som tam salad was also mentioned by @Mark, but the khao soi is also mentioned by Earl! Those 2 food must be damn good!! I totally want to taste them! Mmmm Ceviche… I miss this stuff! .-= Michael´s last blog ..Win a Dream Trip to Norway, Your Way =-. The ceviche from Peru, mentioned twice above, really made me searching for it everytime I go to restaurant since I read them in my inbox!! 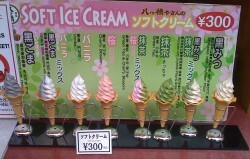 Unfortunately, I have no luck finding them here in NZ so far… I’m soo craving for it! I need to learn how to do it… but I still need to find the right fish? Wow, I just finished breakfast but now I’m hungry again! Awesome post, Dina! Thanks so much for putting this together. .-= Raam Dev´s last blog ..Tired and Overwhelmed in Surat, India =-. It seems we share same passion. BTW, what did the durian taste to you? Since Julia Roberts in Eat,Pray,Love was told to not get durian. Hi Amanda, nice recipe blog. Hahaha, I remember many hotels back in Indonesia prohibit durian to be brought and opened in the hotel rooms, because the stink will not be gone easily! I used to hate it when I was small, but at some point it turned around and I got addicted now! You need to try it. Ryan still hates it, and he ran away if my family is having a durian party. I’m so curious about the stinky tofu, my friends back in my hometown (that happen to read this post) are curious about this too. The wine sounds scary. Are you sure it was wine, not battery acid? The dragon whiskers though, sounds like make a great snack! Thanks so much for this post Dina! The Pisco story and all the talk of coconut in this post reminded me of something I heard about coconut water being an excellent cure for hangovers. I guess if I ever get a chance to try Pisco I should Have a bottle of Vita Coco by my side to get me through the morning after lol. Wow, Dina. All of this food looks sooo good. Even the meat oriented dishes. After the bat/quail I gave up meat (except seafood, which makes me a peskie). Mind you, that real bat sounds interesting, gross, but fascinating! Every so often though, I do have meat fantasies. .-= Nomadic Chick´s last blog ..Gypsy Wednesday â€“ Joel Ward of Freedonia =-. Is that the quail that cause you giving up the meat? Or maybe the bat is actually your meat fantasies? Btw, I can understand that seafood will be really tough to give up. Just a few years ago, I developed allergic reaction to shrimp, lobster and crab. In one occasion, my face swollen so big because of shrimp crackers. So I have to give up these delicious creatures. I hope one day my allergy is gone. Flying Fish (SO YUMMY) from Barbados. They were served up friend and amazingly crispy. 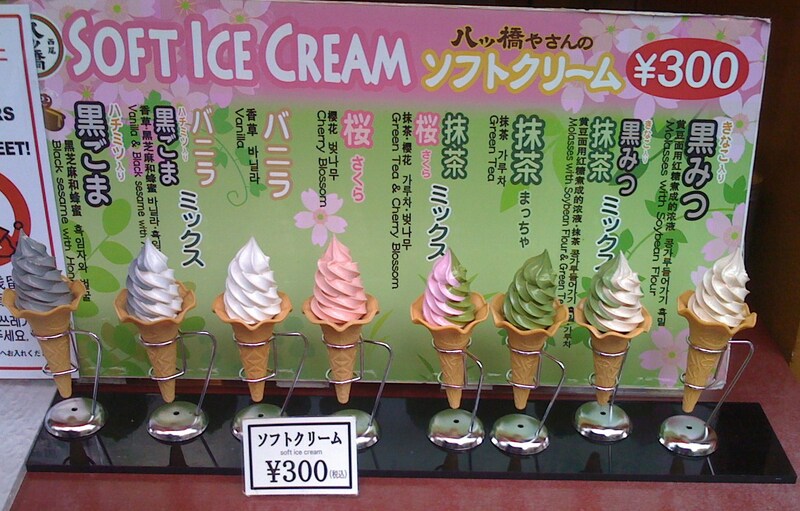 .-= Erica´s last blog ..New Page â€“ Takayama, Japan =-. I love okonomiyaki! Got a really good ones in Kyoto. Is there a specific restaurant in Hiroshima that has great okonomiyaki? Yum, yum…banana buns, aÃ§ai, avocado juice (which I never had when I was there!). This is a great collection of local foods! .-= Jenna´s last blog ..Do you know? # 11 Answer: ÄŒeskÃ½ Krumlov =-. Mmm…I love stinky tofu and organ meat! And what a great post. 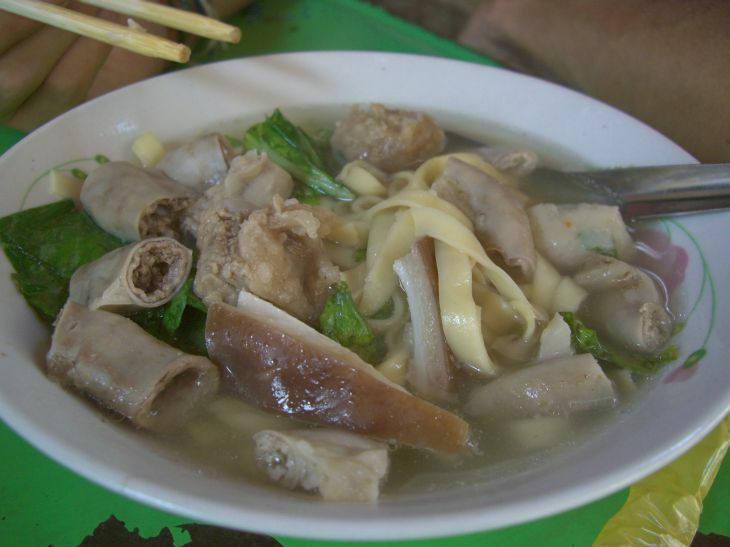 The Myanmar pic of the pig intestine soup didn’t look so appetizing, although I had a Taiwanese hot & sour version that was pretty good, it seriously tasted like deep fried breaded chicken! .-= JR@TheDriftersBlog´s last blog ..3 Tips for a More Comfortable Flight =-. I haven’t tried the stinky tofu, or maybe I have but not recognizing the name? Is it an acquired taste? About organ meat, what’s your favourite? I’m not a big fan of intestines, but heart, liver, and lung are great.. and oh, tongue! absolutely love this fun and diverse round-up though I can live without certain ones on this list here. I do love food so there. No I cannot get used to stinky tofu, but I absolutely love durian. Plan on having plenty of them (durian)and hopefully a meet up with Mark too for a durian party when we arrive in Thailand! .-= gotpassport´s last blog ..Learning to live in the Present =-. Another durian lover If someday we meet in Durian part of the world, let’s have durian party, I love it too! YUM! My vote goes with earl for the mango lassi. Yum is right. I tried mango lassi once in a carnival in Sydney, it’s already very yummy. Can’t wait to taste it in its original place! Natalie - Turkish Travel Blog. I was alright until I got to the intestine noodle soup, then my appetite disappeared.